Inquiry-based curriculum from Robert-Leslie Publishing selected for offering rich hands-on and multicultural experiences to preschool students. The Early Learning Branch of the Maryland State Department of Education has recommended The InvestiGator Club® Prekindergarten Learning System with STEAM for state endorsement as a comprehensive curriculum for three-, four-, and five-year-olds. The program is the only recommended curriculum fully aligned in every category of the Maryland Framework for 3–5 year-old preschool students. The InvestiGator Club PreK with STEAM is a culturally rich, fully integrated pre-K curriculum that focuses on STEM, early literacy, the arts and social and emotional development. The program uses engaging stories, charming characters, and children's own curiosity to motivate them to think, solve problems, communicate, and investigate their world. The Department of Education conducted reviews to recommend preschool curricula that demonstrate the best alignment with Maryland’s new pre-kindergarten and kindergarten curricular frameworks, which constitutes the foundation of the Maryland College and Career Ready Standards. An evaluation committee reviewed the curriculum between February and March 2014. The InvestiGator Club PreK with STEAM was determined to be rich in literature, hands-on experiences, and multicultural experiences. The assessment piece was considered to be comprehensive, with a strong correlation between content and assessment. The InvestiGator Club PreK with STEAM was recently honored with a Golden Lamp and Distinguished Achievement Award for the 2014 Recognized Valuable Educational Resources (REVERE) Awards. The InvestiGator Club Prekindergarten Learning System is a fully integrated, developmentally appropriate curriculum that utilizes children's natural curiosity to build skills in ten critical learning domains, including language, literacy, science, the arts, and math. Evidence gathered from an extensive national study conducted by the Educational Research Institute of America (ERIA) with more than 500 children in 32 classrooms shows that this learning system is significantly effective with all groups of children, including those considered "at-risk". 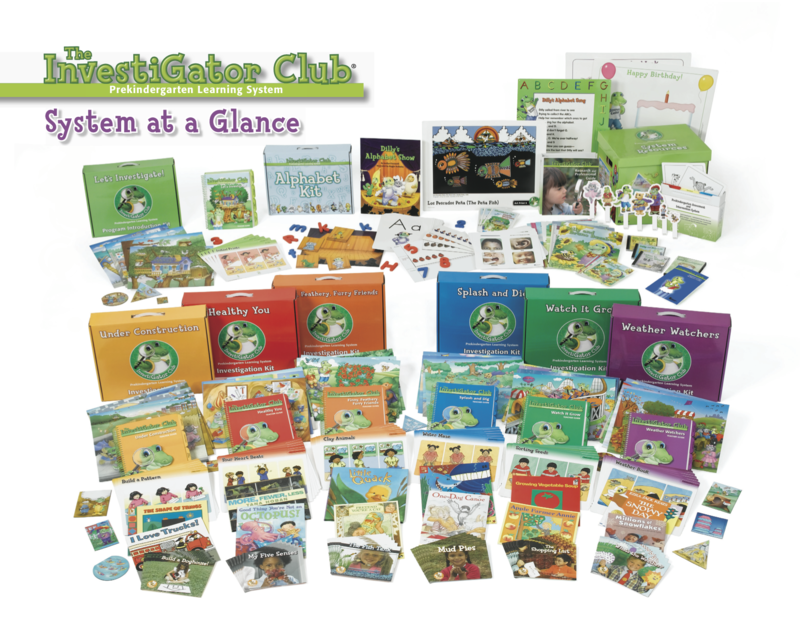 InvestiGator Club products have received numerous awards, including the Teacher's Choice Award and Creative Child Magazine's Kids Product of the Year, Preferred Choice Award, and Seal of Excellence. For more information, contact customer.service@robert-leslie.com or visit the website at http://www.investigatorclub.com. Robert-Leslie Publishing, The Early Childhood Company® is dedicated to the principle that the early years are the most valuable time to build the foundation for a child's lifetime of success. The company's founders, James and Judith Coffey (CEO), with more than thirty years of educational publishing experience, assembled a team of early childhood experts in 2005, to accomplish RLP's mission of helping children succeed through the publication of research-based learning materials. For more information, visit http://www.robert-leslie.com/.